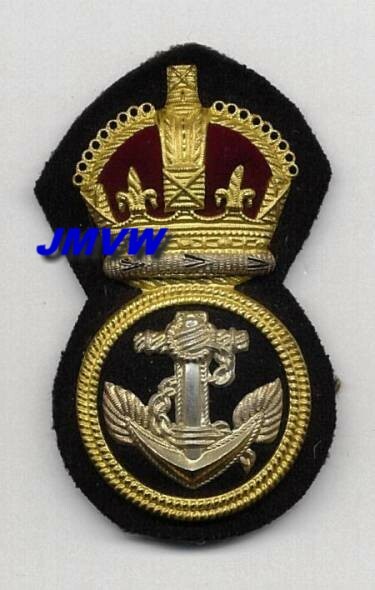 THE ROYAL NAVY "SECTION BELGE"
all officers would be incorporated in the Royal Navy Reserve (RNR) or the Royal Navy Voluntary Reserve (RNVR). 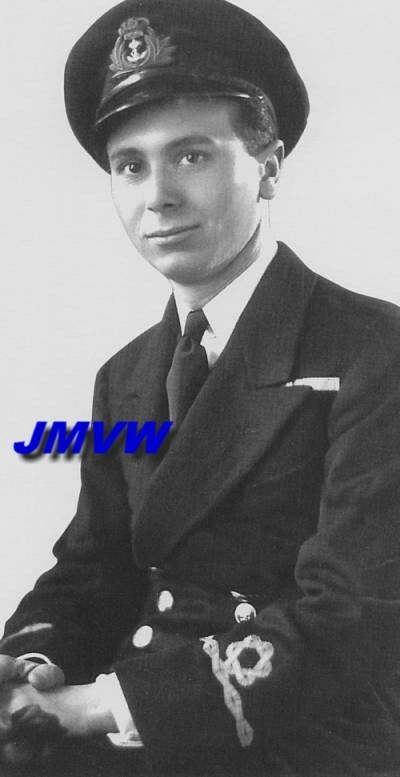 The difference being that those with a naval background were incorporated in the RNR, the others in the RNVR. 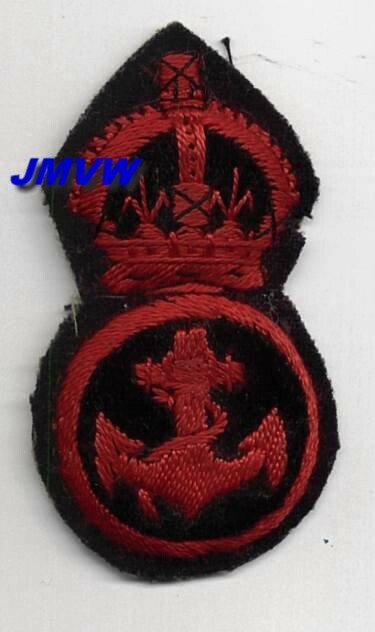 NCO's and seamen were incorporated in the Royal Navy "Belgian Section". 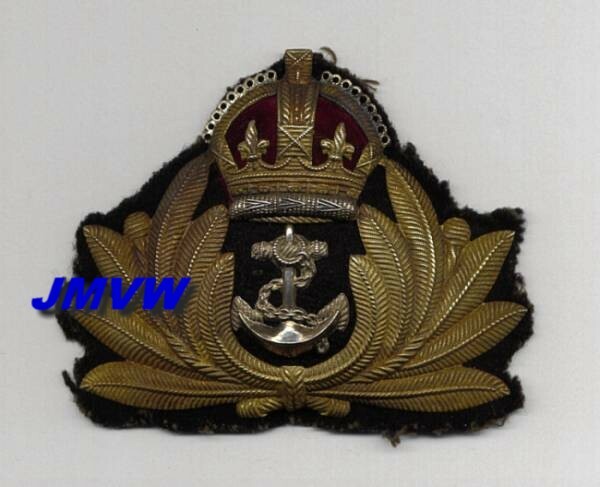 All Belgian officers in the RNR and the RNVR wore the British Rank Insignia. 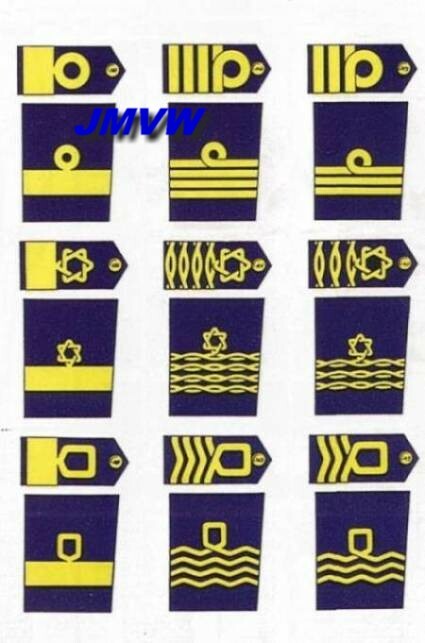 All NCO's and seamen also wore the British Rank Insignia. Badge Petty Officer, normal dress. 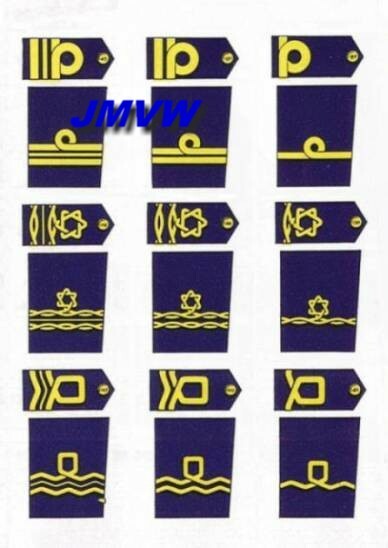 Badge Leading Seaman, normal dress. All officers wore the same cap insignia. 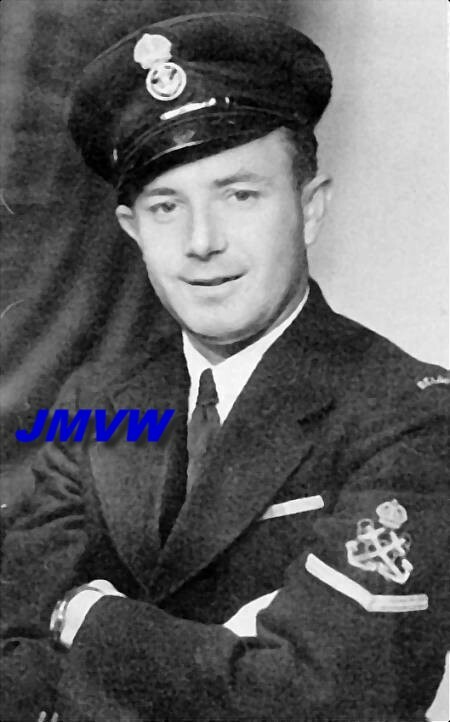 Commodore 2nd class, Captain and Commander had the peak of their cap embroidered in the front with oak leaves . 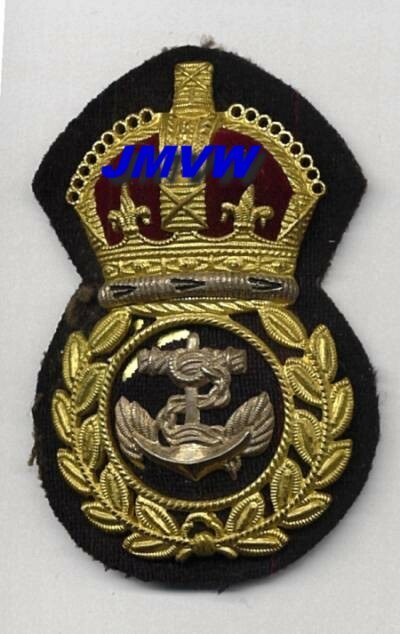 NCO's and Junior Ratings had different cap badges. 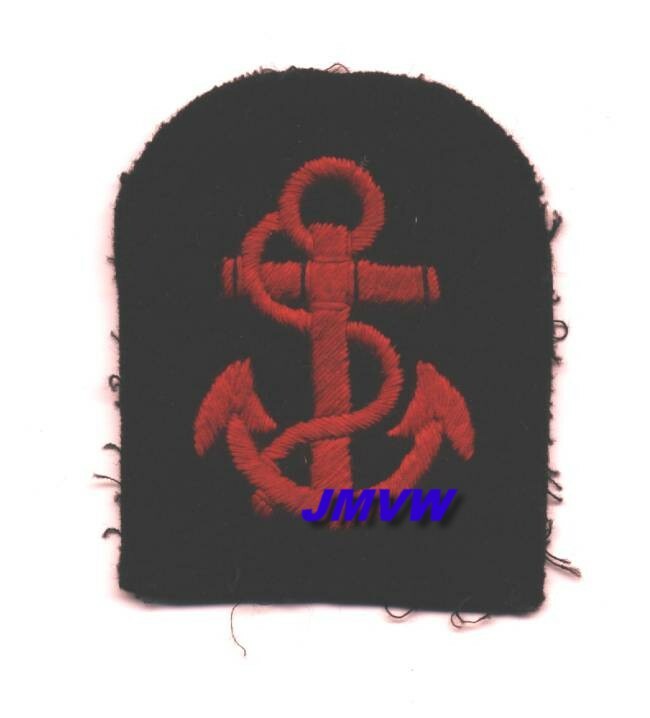 Several cap tallies were worn by the seamen of the RNSB. 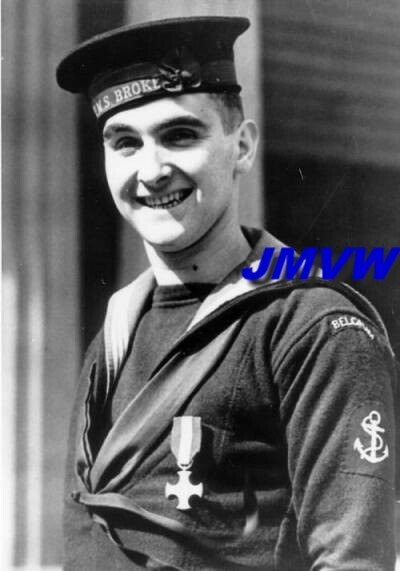 The first one they wore was the one of the training camp at Skegness : HMS Royal Arthur. 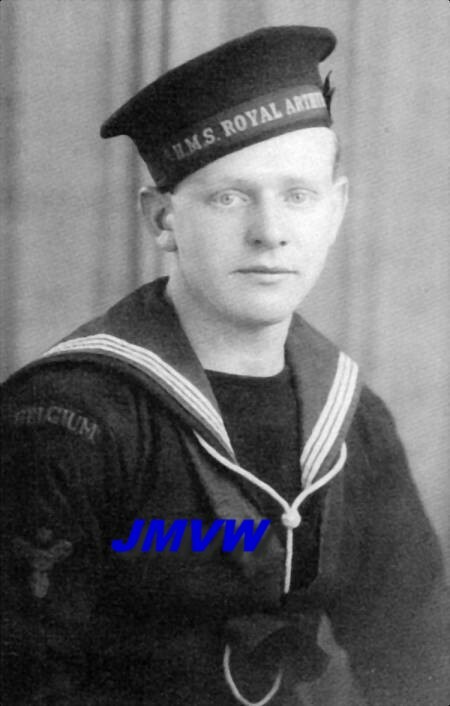 Afterwards most of them wore the cap tally "HMS" due to the war regulation which forbid to wear the name of the vessel. Some exceptions were allowed, such as "HM Destroyer" and "HM Minesweeprs", because no name was included. Cap tally worn by the seamen of the corvettes HMS Godetia and HMS Buttercup. Cap tally worn by the seamen of the 118th Minesweepers Flotilla. Cap tally worn at the training camp at Skegness. 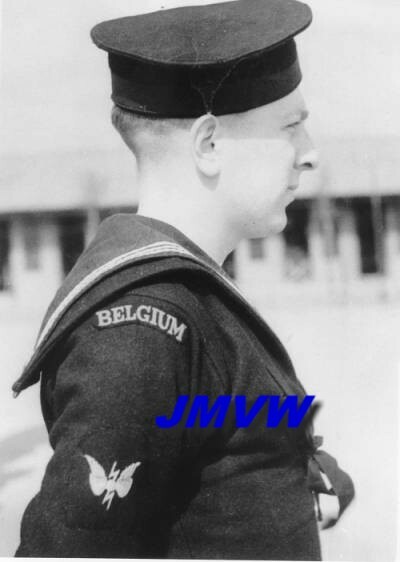 Some Belgian seamen were assigned to British destroyers and wore the above cap tally. 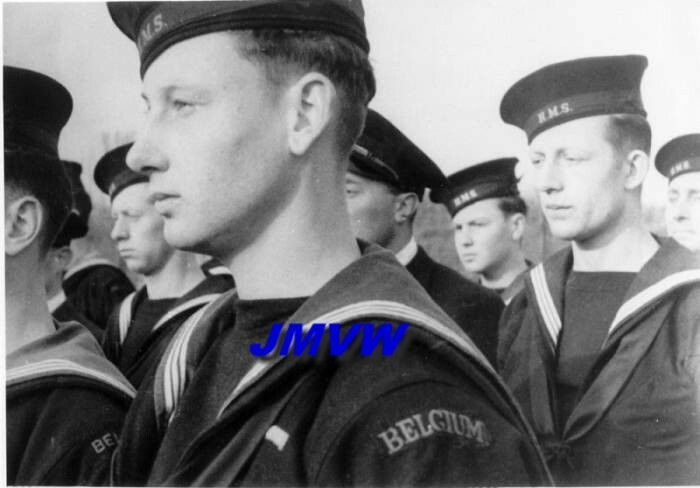 with cap tally "HMS Royal Arthur"
(picture collection Johnny Geldhof) Seamen with cap tally "HMS"
All the Belgian NCO's and seamen wore a armtitle "BELGIUM". Red letters on a naval blue background. 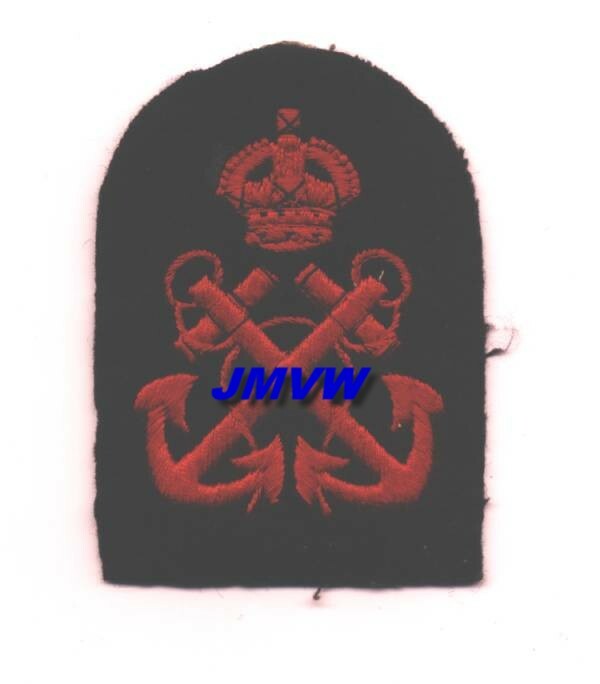 Officers did not wear this title as they were incorporated in the RNR and the RNVR. 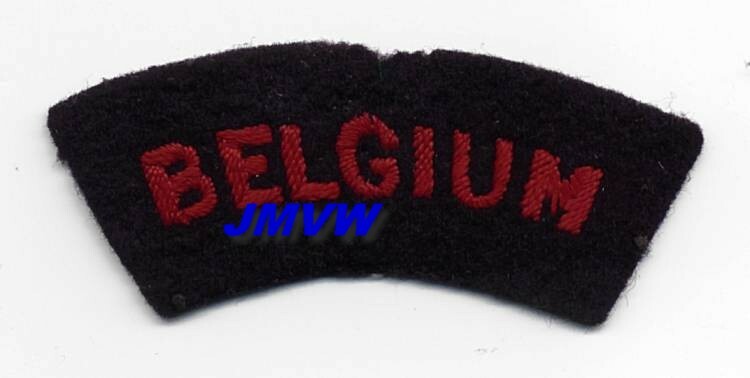 Until november 1944 the title was worn on both arms. only one title was worn, on the right arm. In 1945 after the end of the war the badge was worn on the uniform. 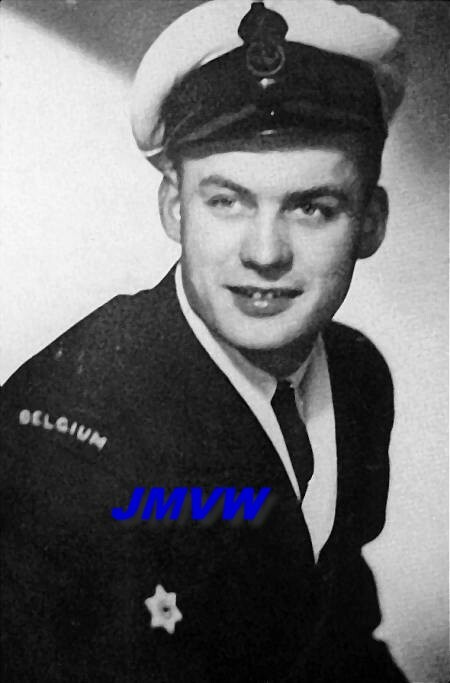 The main purpose was to show that the bearers were members of the Belgian Navy and not of the mailboats of the Belgian Ministry of Transport.